The Mahindra XUV500 gets another facelift for 2018 instead of a new generation model. Are the changes enough to make you consider it over the competition? 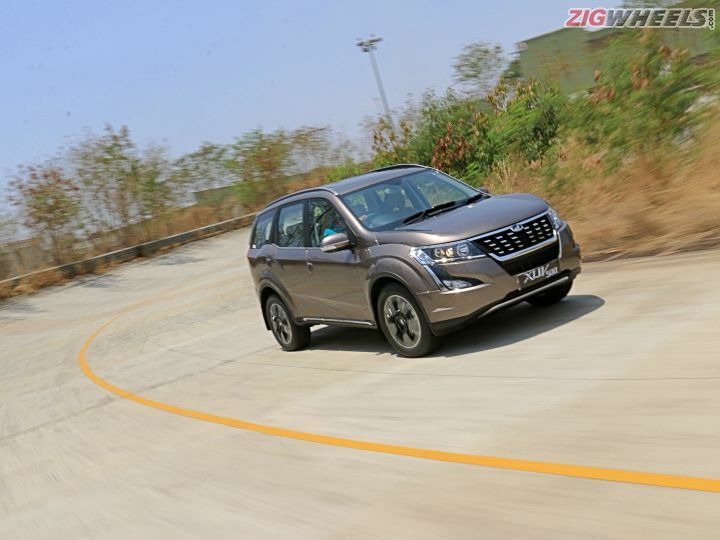 The Mahindra XUV500 is now seven years old and it’s received a number of little updates over the years as Mahindra continued to fine-tune its flagship SUV. On the face of things, this update is another facelift. But, underneath lurk a fair few interior tweaks and also some significant changes under the bonnet. This is a much needed update as, of late, the XUV500 has been facing stiff competition from both the Tata Hexa and the Jeep Compass. So, does the 2018 iteration do enough to re-establish dominance in the segment? Read on to find out. The most obvious change to the XUV500 is the new grille that now features larger openings accented with chrome crowns and chrome surrounds as well. There’s also a new layout for the headlamps (again) and now the LED DRLs have migrated to the top of the headlamp unit. The fog light surrounds have also received a minor tweak and that wraps up the changes to the face. On the side of the car there is a new set of chrome accents on the bottom of the door sills. The bigger change to the side profiles, however, is the new set of 18-inch diamond cut alloys that replace the 17-inchers. The rear of the XUV500 has received the biggest change, though, and the D-pillar-mounted lights have now given way to a nice set of triangular units. The accent lines on the boot lid have changed and there’s a large chrome accent that runs just above the number plate as well. Looking back at how the XUV500 has changed over the years, I can’t help feeling that the first iteration from 2011, with its ‘whisker’ grills in the front bumper looked just a little meaner. On the inside, Mahindra has made a few changes with new quilted tan leather upholstery for the seats that look quite nice and feel good as well. The upper portion of the dashboard is now covered in black leather while the rest is black plastic. The central console that houses buttons and controls for the infotainment, aircon and other functions now has a piano black surround. And while this does look quite nice when it’s clean, it’s a fingerprint magnet and quickly loses its sheen with heavy usage. Another change has come to the infotainment system, which is now Arkamys tuned (like Hyundai cars) but the sound quality is strictly mediocre. What isn't mediocre is Mahindra’s Blue Sense Android and iOS app that connects to the infotainment system and allows you to control functions like the aircon and audio sources and also displays vehicular info, like the tyre pressures and fuel level. For this update, Mahindra has even added smartwatch capabilities that allow compatible smartwatches, normally connected to a user's phone, to display the same information on the dial while also allowing you similar control over aircon and audio sources. What about the mechanical bits? The XUV500 is powered by the same 2.2 turbocharged mHawk diesel and petrol engine but the diesel features a new variable geometry turbo or VGT. Mahindra has made tweaks to the VGT which is now electrically actuated as opposed to the earlier pneumatic operation and this makes the engine quicker to respond to throttle changes. Power figures have also jumped up from 140PS to 155PS @ 3750rpm and torque sees an even bigger jump from 330Nm to 360Nm at a slightly higher 1750-2800rpm (1600-2800rpm of earlier). While the peak torque is available in a narrower spread than before, the XUV still drives as fluidly as it did. The power delivery is nice and linear with just a slight surge around 2000rpm. The clutch is also light as is the steering and though we only had a short time with the XUV500 on the Mahindra test track, it feels like it will continue to sport good city driving characteristics. Again, owing to the limited time we spent behind the wheel, we’ll leave describing how it feels on the highway to when we manage a proper road test. The petrol engine receives no updates and continues to put out 140PS@4500rpm and 320Nm@2000-3000rpm. The petrol will also continue to be exclusively available with a 6-speed conventional automatic transmission, while the diesel will be available with both, a 6-speed manual and a 6-speed automatic. The diesel will also still sport all-wheel-drive or AWD in the top-of-the-line W11 with either the 6-speed manual or 6-speed automatic transmission. Mahindra is also changing the way it names as well as packages its variants this time around. What we do know is that the new variants names are W5, W7, W9 and W11, basically the numbers have changed to odd numbers. We also know that the petrol SUVs will be exclusively available with automatic transmissions while the diesel will continue to be a mix of both manual and automatic. Also new is the flagship W11(O) variant, which is the only one to be offered with an AWD drivetrain along with 18-inch ‘diamond-cut’ alloy wheels. The XUV500 still is a feature-rich SUV that ticks a lot of boxes and seats seven. It still suffers from practically no luggage space when the third row is flipped up, and even the quality of the switches and the air vents are still questionable. The storage spaces could also have been a little better thought out as well. The XUV features a monocoque chassis that means its driving manners are respectable and body roll is fairly controlled. The steering is nicely weighted, but could have been a little sharper. Suspension settings also have not changed, so it should still feature the same ride quality which is on the firm side. It also features a fairly comprehensive safety feature list that comprises of six airbags (dual airbags are standard across variants), ABS, ESP, disc brakes on all four wheels and hill hold and hill descent control in the top two variants. The XUV500 has always been a trailblazer of sorts, practically creating a segment for itself. The 2018 update sees a welcome change to the engine with more power and the promise of better response as well. The interior trim updates are a welcome change but there are still some niggles when it comes to the finish and quality of some of the plastic parts. The Jeep Compass is a more refined, better quality offering but for a significant increase in budget. The Hexa offers more space and a usable boot, even while seating seven but at a slight premium. Considering the price, the XUV500 still offers a lot of value. Tata Hexa 4x4 MT Review: Are-ya Different? Share your experiences with XUV500?